Dear Mr. Vitkovic, please present your company briefly. Could you tell us about the different services you provide? In which sectors do they find use? We provide best solutions for customers who need district and local heating, process steam, power and heat around the world. Reliable technology, built in industrial standard. Close to our customers, from the first consultation until to the annual services. 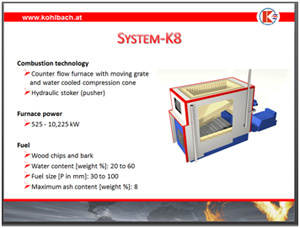 Together with costumers discover new biomass fuels by the use of combustion test, which Kohlbach provides. Which products will you be presenting at the Energy Efficiency and Renewables Exhibition in Sofia? What makes them stand out from the competition? 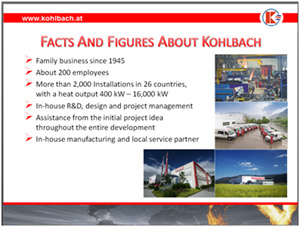 Can you tell us more about the versatile fuel spectrum of the Kohlbach boilers? 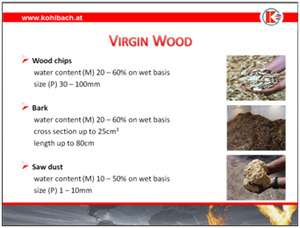 Sowie die Case Study von mir. You will be a first time Exhibitor at the Energy Efficiency & Renewables Exhibition in Sofia. What type of attendees would you like to see at your booth? From which industry sectors? Get contact in with potential customers ex. 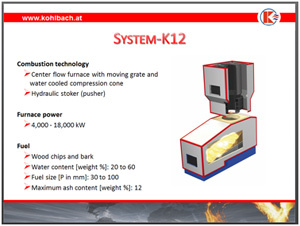 saw mill operators, companies which needs process steam like foodstuff companies and companies which are located at medicine sector, companies which need heat and power (ORC process or steam turbines) like energy providers, and of course who needs district and local heat.